The Maine House of Representatives has voted to overturn Gov. Paul LePage's veto of the $6.7 billion state budget. The Democratic-controlled House voted 109-37 to override the Republican governor's veto on Tuesday. It faces a final vote in the Republican-controlled Senate. A spending plan must be in place by midnight or state government will shut down. In a scathing veto letter on Monday, LePage blasted lawmakers for rejecting his efforts to overhaul the state's tax code and welfare programs. 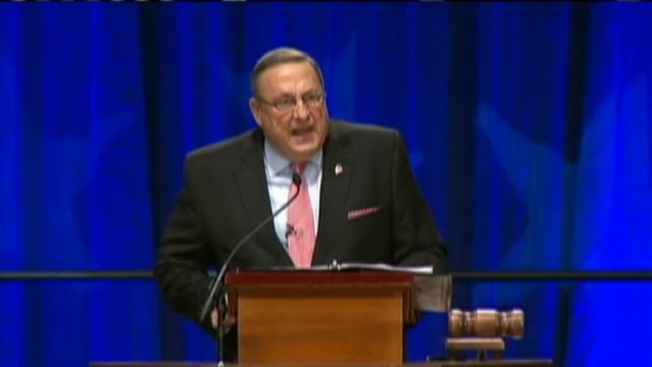 The budget includes income tax cuts, but LePage says it doesn't go far enough. LePage attended a rally at the Statehouse Tuesday, where supporters urged lawmakers to sustain the governor's veto and fight for a better budget deal. LePage said he was "elected to stand up for the Maine people."